APOCHROMATIC MACRO Long Normal LENS! Thinking of the 65mm f/2 APO-Lanthar only as a macro lens is a bit inaccurate and limiting. This is a super sharp highly corrected apochormatic long normal lens which also happens to close focus to 1:2. We announce the release of the Voigtländer MACRO APO-LANTHAR 65mm F2 Aspherical, a Sony E-mount macro lens for full frame sensors. 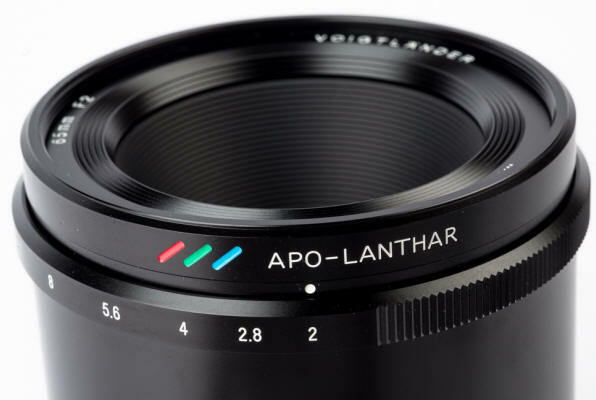 The APO-LANTHAR designation is given to especially high performance lenses in the Voigtländer lens lineup. The legendary APO-LANTHAR lens that continues to enthrall photographers with its outstanding imaging performance and beautiful rendering was born in 1954, but its origins can be traced back around 120 years (see additional info about the APO-LANTHAR below). A need for apochromatic optical designs that reduce the longitudinal chromatic aberrations of the three primary colors (RGB) of light to practically zero arose with the increasing popularity of color film. Now, with the current range of high-resolution digitals sensors, this need for extremely high-level control of chromatic aberrations is even more pertinent than when film changed from monochrome to color. So rather than just being for already solved old technologies, apochromatic optical designs are indeed a subject requiring serious consideration in the digital age. 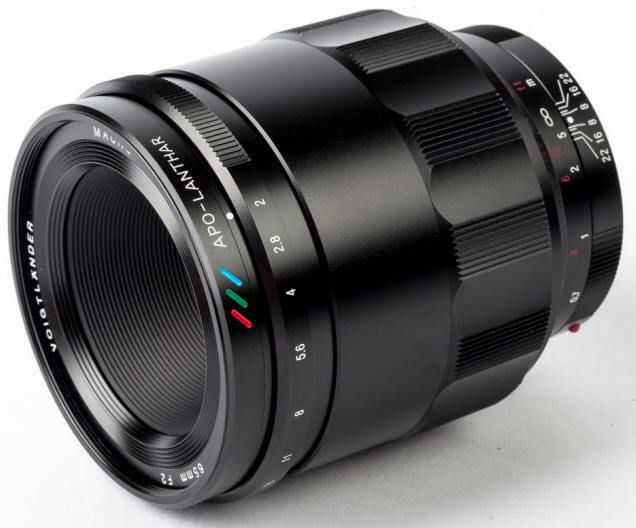 The Voigtländer MACRO APO-LANTHAR 65mm F2 Aspherical, which inherits the designation “APO-LANTHAR”, is a high performance manual focus macro lens optimized for the imaging sensors of Sony mirrorless cameras. 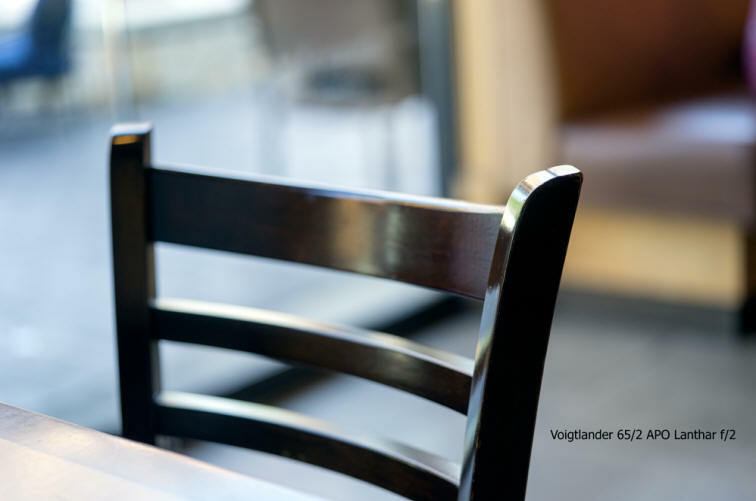 The optical performance of this lens, which provides an image circle capable of covering a full frame sensor, rates as one of the finest in the history of Voigtländer. Sharp imaging performance is obtained from maximum aperture where you can enjoy blurring the background, and by utilizing a floating mechanism this lens delivers outstanding image quality for subjects from the minimum focusing distance of 31cm (reproduction ratio of 1:2) through to infinity. This lens is a manual focus and manual aperture design, but also features electrical contacts that enable the lens settings at image capture to be included in the Exif information of the image data. Furthermore, the lens is installed with a distance encoder to enable support for 5-axis image stabilization on bodies with this feature, for example by providing distance to subject information used in X,Y shift compensation. Focus peaking while manual focusing is also supported. The history of the APO-LANTHAR begins with the HELIAR invented by Hans Harting in 1900. Despite its simple optical configuration of five elements in three groups, the HELIAR was a lens with superb depictive performance. 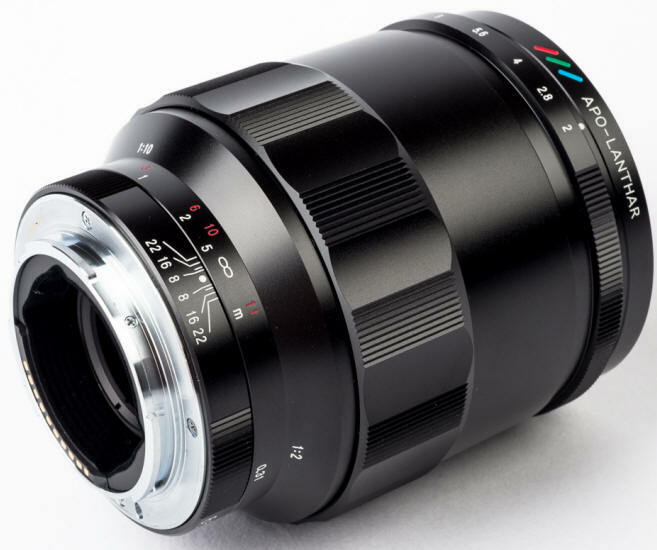 As an example of the HELIAR optical formula still being valid in the present day, it is used in the currently available HELIAR 50mm F3.5, a lens known for its superb depictive performance. as a family treasure by portrait photography businesses during the Showa period. more faithfully than possible with monochrome film. representative of post-war Voigtlander, the Bessa II. There were three different lens variations of this camera: APO-LANTHAR 4.5/100, COLOR-HELIAR 3.5/105, and COLOR-SKOPAR 3.5/105. The APO-LANTHAR 4.5/100 variation has red, green, and blue (RGB) rings indicating the apochromatic optical design engraved around the front of the lens barrel to differentiate it from the other versions as a special lens. Due to the rarity and high performance of the Bessa II fitted with APO-LANTHAR lens, this camera has become a legendary camera traded on the used market at high prices and the envy of camera collectors. three colored dashes indicating the RGB colors at the front edge of the lens barrel. The 65mm field of view is not new to me. A few years ago my favorite lens was the great 50mm Heliar F/2 on a Leica M8.2 camera. I actually missed that field of view when I changed to Sony E mont full frame camera (A7ii). This field of view is a constrained, or tight normal. For me it emphasizes a "thing that caught my attention" kind of photography perfectly. If this APO-Lanthar had only been "good enough", then I would have been satisfied. But the 65mm APO-Lanthar is way beyond good enough. I have noticed no significant field curvature, so it provides exceptional resolution from corner to corner at f/2. I have not found ANY purple (or any other color) fringing on any high contrast edges either in photographs. I see zero distortion - so its use for landscapes and architecture is powerful. The ability to close focus adds tremendously to the "thing-that-caught-my-ttention" style. Its images have a strong, clean, colorful quality that I really like. I am noticing that I do much less post processing with this lens. It is the best lens I have ever used. The description given at Cameraquest is accurate. The service from Cameraquest is unparalleled. Most lenses are perfectly useful, some lenses are really nice, and a very few are WOW. This one is WOW!